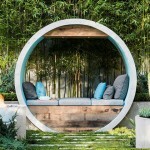 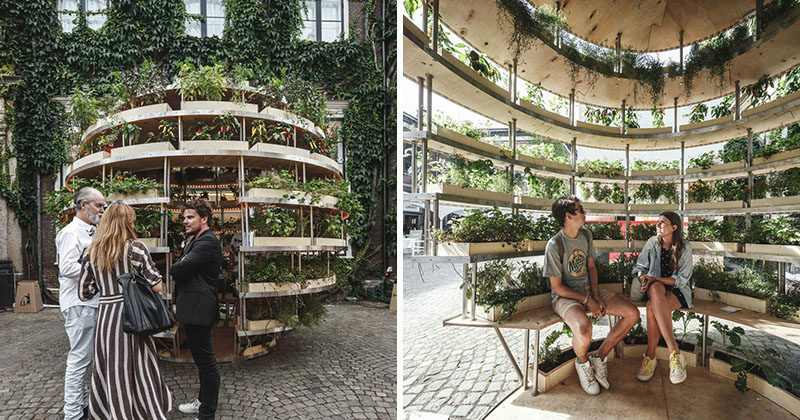 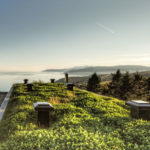 Urban living specialists, Space10, and architects Mads-Ulrik Husum and Sine Lindholm have collaborated to create “The Growroom” – a pavilion filled with naturally growing herbs, vegetables, and plants, designed to thrive in urban settings. 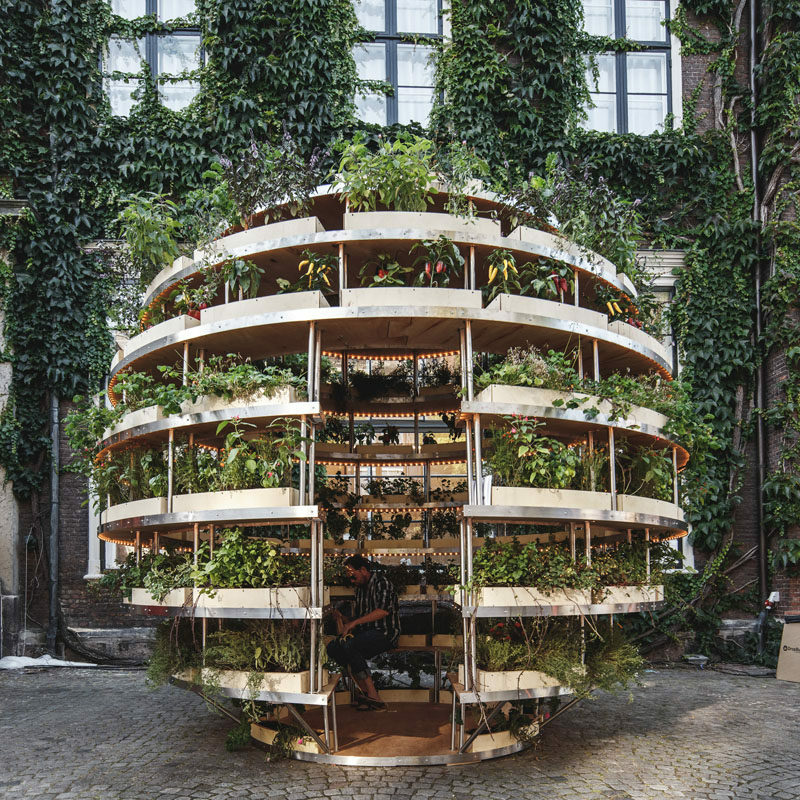 The artistic and functional multi-sensory pavilion debuted at the Copenhagen Chart Art Fair where people were invited inside The Growroom to see, smell, and taste the food that had been growing right in the heart of the city. 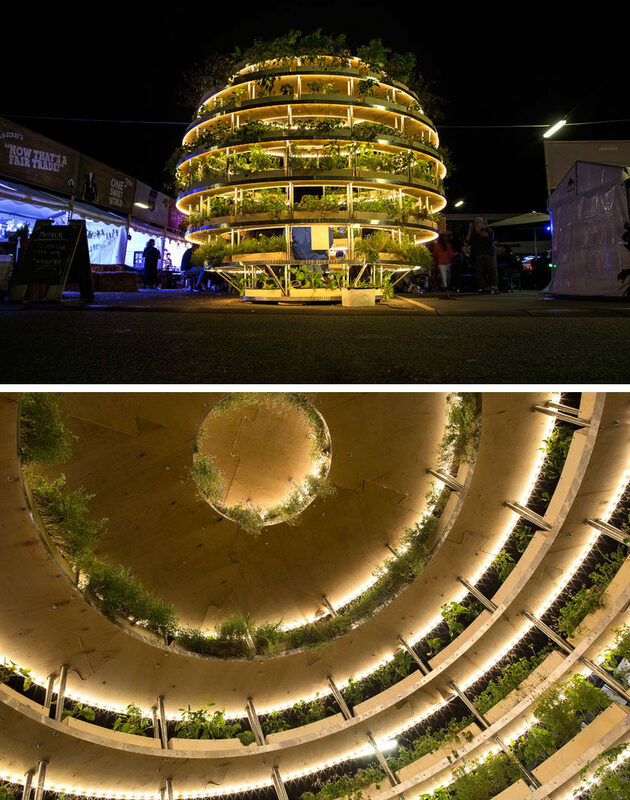 Divided into sections around an open center and bench, the spherical multi-sensory pavilion encourages people to step inside and experience the uniqueness of food producing architecture in an engaging way, and interact with their food in ways they likely haven’t been able to before. 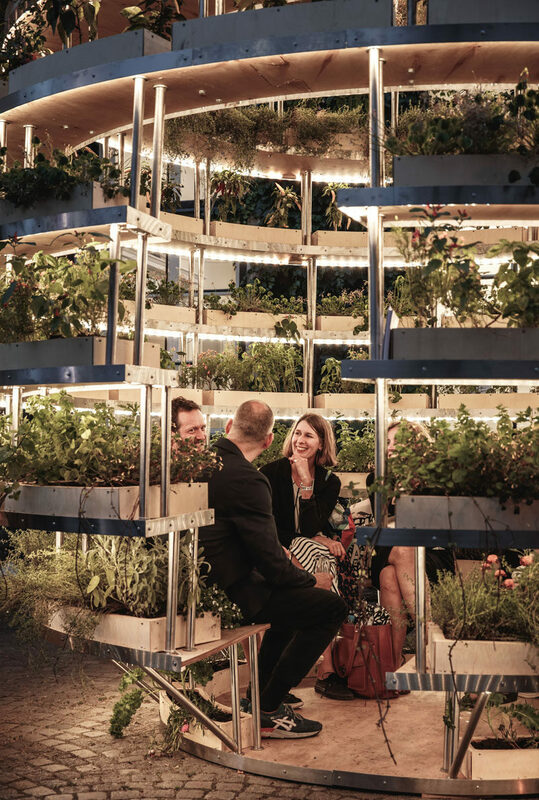 Modern technologies, like hydroponic systems, artificial lights and computerized automation have been included in the project in order to meet all the needs of the plants in cost efficient and environmentally friendly ways. 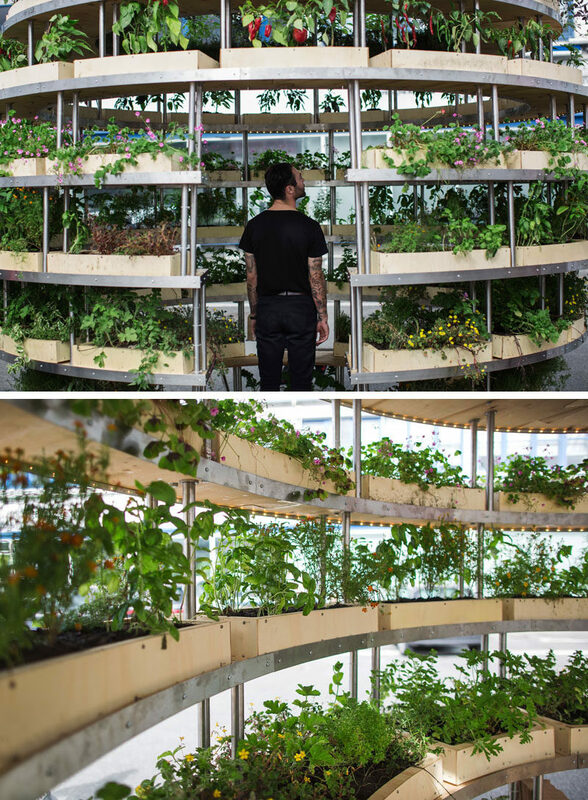 These additions also maximize food production while minimizing growth time, something that would be a concern when trying to feed as many people in a city as possible. 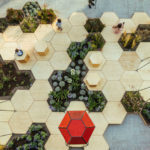 The food producing architectural piece was created in an aim to get people thinking about where their food comes from and the impact it has on the planet. 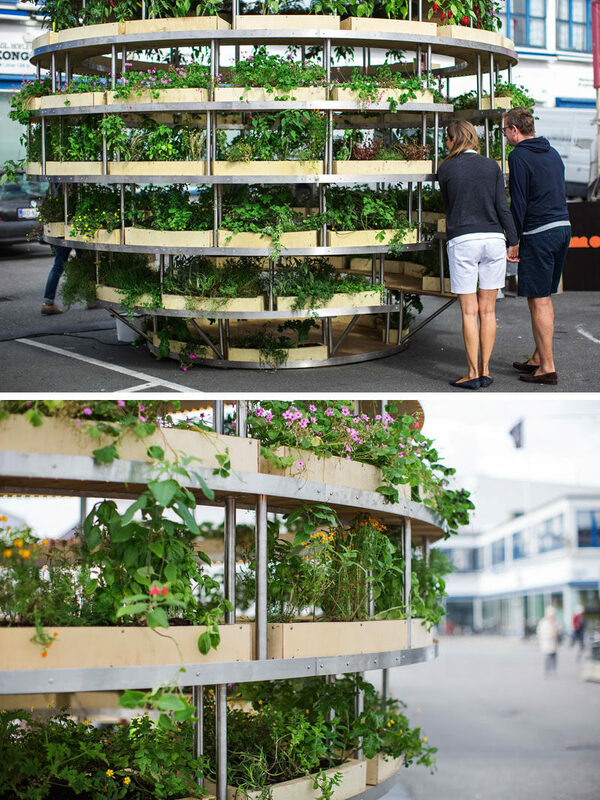 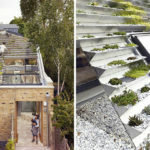 It was also designed to demonstrate how easy it is to grow food quickly and efficiently in an urban environment.